Challenges to India’s security are mounting by the day. The governance of India’s security sector needs to be seen in the context of its external and internal vulnerability. Integrated, comprehensive Security Sector Reform (SSR) must be preceded by a comprehensive needs assessment to identify critical gaps and potential links across sectors. Governance is unlikely to improve across the board anywhere in the short term and political patronage to terrorists cannot disappear overnight either, especially in the absence of resolute and focused action against such a nexus. Presently, our SSR though progressing appears more akin to the blind man’s bluff. Indeed, we have a very long way to go. We have numerous terrorist organisations and insurgent groups operating within the country, the looming shadow of the ISIS and Pakistan’s demonstrated resolve to accelerate terrorism against India – all leading to the requirement of an effective security sector. 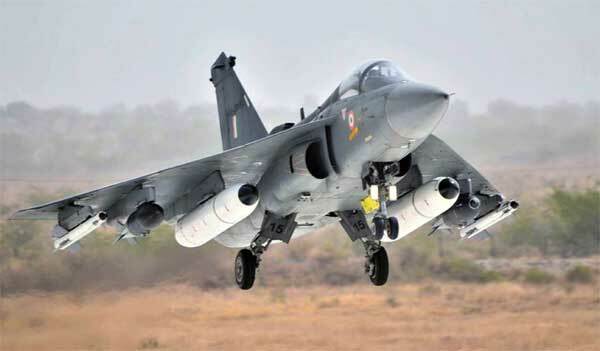 Having learnt a lesson from the 1990s, the Government of India (GoI) has since laid emphasis on indigenisation of the defence industry with a number of measures initiated in this direction. The promulgation of the Defence Procurement Procedure (DPP) and its subsequent refinements specifying the offset criteria, opening the market to the private sector and permitting Foreign Direct Investment (FDI) are some of the policies that have been formulated yet actualising procurement decisions into manufacturing have been relatively slow. As Air Marshal Vinod Patney (Retd), Director General, Centre for Air Power Studies, at a Seminar on ‘Energising Indian Aerospace Industry’ recently mentioned, “The silver lining is discernible, but barely.” An attempt, therefore, is being made to review the current status and trajectory of indigenisation in the aerospace industry. Who started the war or to put it more palatably – how did the war start? Just as it would be naïve for the Indians to keep repeating that the ‘71 war was started by Pakistan it would be extremely myopic to continue haranguing now, almost half a century after that war, that India was the aggressor in 1965. 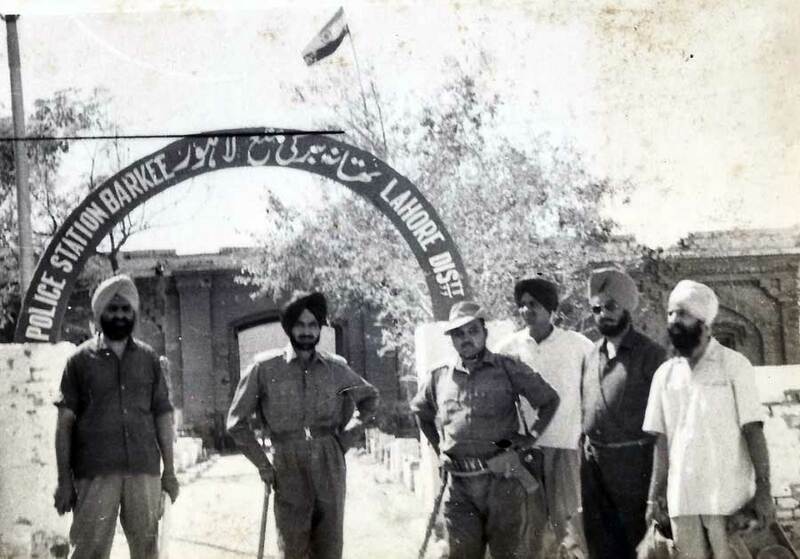 In 1971 Indian regular troops were already making forays across the IB in what was then East Pakistan. All that happened was that Pakistan pre-empted the planned Indian offensive by commencing hostilities along the Western front on 03 December whereas the Indians had planned to launch their offensive for 04 December. Emboldened by the rather timid and weak response of the Indian politico-military leadership during the Kutch crisis, Operation Gibraltar was conceived to get back the Indian part of Kashmir through a covert operation. Indian Prime Minister Narendra Modi’s government has repeatedly referred to the need for India to “Act East,” and not just “Look East” (the latter policy was the brainchild of former Prime Minister Narasimha Rao.” Specifically, Modi has spoken of the need for India to show greater urgency in building trade links, connectivity, and enhanced people-to-people contact with Southeast Asian and East Asian countries. The Modi government has taken some important steps in this regard. 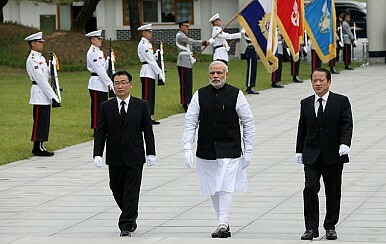 First, it has strengthened links between India’s Northeast and Myanmar, and improved infrastructure on border posts. Projects such as the Kaladan Multi-Nodal project, which will connect Sittwe port in Myanmar with Kolkata (India), as well as the India-Myanmar-Thailand highway, are likely to be accelerated. However, the Imphal-Mandalay bus service, meant to start last October, has yet to begin. Second, apart from ASEAN countries, the prime minister has referred to the importance of other countries in South Asia (Bangladesh), East Asia (Japan), and Oceania (Australia) for a successful “Act East” policy. While earlier governments also realized the importance of these countries, Modi has been more vocal. Indian Prime Minister Narendra Modi, on a recent visit to the United Arab Emirates, while addressing the Indian diaspora, stressed on developing infrastructure to connect South Asian countries of Nepal, Bhutan, India and Bangladesh. He emphasized that such a corridor would, in the future, connect India with the east. Prime Minister Modi’s recent signing of the peace accord with India’s oldest insurgent groups in Nagaland and his visit to the region last year -where he commented on the region’s potential calling it a Natural Economic Zone -signals the administration’s renewed interest in tapping the potential of the region has prompted, yet again, a debate on the challenges present and the policies adopted towards the region. The Northeast region which is connected to mainland India by only a small strip of land called the “chicken’s neck” has been mostly neglected by successive governments in terms of development and security. The reasons for this are plenty- geographic isolation, varying ethnicities, prevalent insurgencies, huge trust deficit between the people of the region and state authorities and a disconnect between the government policies and ground realities are some factors as to why human security threats are enhanced in the region. Any policy, thus, aimed at developing the Northeast region as ‘India’s gateway to the East’ must address these very real and persistent human security issues. Coming Soon: Russian Su-35s to Pakistan and American F-35s to India? Russia seems to be eager to antagonize both friend and foe alike these days. In a move that seems to be completely inexplicable, Russia is apparently negotiating to sell Pakistan advanced Sukhoi Su-35 Flanker-E fighters along with Mi-35 Hind-E attack helicopters. Perhaps more amazingly, the Russians don’t seem to grasp that their Indian allies are likely to react extremely negatively at the prospect of such a deal. “I do not think that the contracts under discussion will cause jealousy on the part of any of the two sides,” Russian deputy foreign minister Sergei Ryabkov told state-owned Russian media outlet Sputnik on Sept. 9. In a soggy alley between hundreds of grey tarpaulins and tents which make up Nepal’s largest displaced people’s camp in Kathmandu, 11-year-old Raj Kumav Acharya stopped and looked at his muddy shoes. “You know my father, he died in the earthquake,” he said in a small voice. Raj had been kind enough to show me around the Chuchhepati camp of more than 7,100, introducing me to people like him, some who had lost nearly everything. He did not linger on his point though, apparently not wanting to dwell on his own loss. “Let’s go this way,” he said, before dodging another puddle. A few minutes earlier Raj had been showing me his own tent, a grey tarp stretched across a fence, which he said was not sufficient for keeping the elements at bay. “This is where I live now, there is nothing on the floor here, so the water just comes all the way in. The other day I saw a snake just there,” he said pointing to the corner of the dirt floor. This article is part of “Southeast Asia: Refugees in Crisis,” an ongoing series by The Diplomat for summer and fall 2015 featuring exclusive articles from scholars and practitioners tackling Southeast Asia’s ongoing refugee crisis. All articles in the series can be found here. 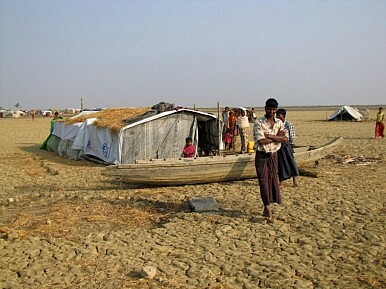 Between January and March 2015, 25,000 Rohingya reportedly left Myanmar and Bangladesh. By May, UNHCR, the UN’s refugee agency, reported that the volume of Rohingyas seeking asylum had doubled in comparison with the 2014 average for that month. Yet after this mass exodus, there remain hundreds of thousands left vulnerable in Myanmar. According to the United Nations (UN) Office for the Coordination of Humanitarian Affairs (OCHA), Myanmar has 541,100 people in need of humanitarian assistance; 139,000 people displaced within the Rakhine State and 100,000 people displaced in the Kachin state. There are grounds for thinking that developed states close to the region, such as Australia, Japan and New Zealand, have not yet provided sufficient support to assist the region with enduring resettlement solutions for the Myanmar refugee population. Australia, as the closest wealthy nation to the region, in particular can do more to assist in mustering the region’s energy towards the need for refugees’ protection, an area that has received little attention over the years as countries in the region focus more on deterring asylum seekers. A long-awaited report by the U.N. Office of the High Commissioner for Human Rights (OHCHR) has been delivered to the Sri Lankan government. The report, a result of a U.N. Human Rights Council (HRC) resolution passed on Sri Lanka in March 2014, deals largely with abuses by government forces and the separatist Tamil Tigers that occurred during the end of the country’s civil war. The report will be made public imminently. Sri Lanka’s foreign minister, Mangala Samaraweera, will speak at the HRC today, the opening day of the HRC’s 30th session. He’s expected to discuss Colombo’s plans to deal with reconciliation and “accountability” via domestic means. 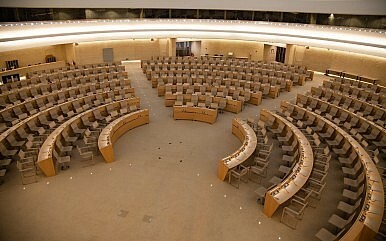 On September 17, an important, informal meeting on Sri Lanka will be held at the HRC. During that time, it’s likely that the broad contours of the forthcoming HRC resolution on Sri Lanka, an initiative led by Washington, will be discussed in some detail. The U.S. has made it clear that, unlike the last three U.S.-led HRC resolutions on the war-torn island nation, this one will be in support of the new government. Over at CSIS’s continuously excellent Asia Maritime Transparency Initiative, James Kraska writes compellingly in favor of the United States having its naval assets conduct transit in innocent passage near China’s newly built man-made islands in the South China Sea. The issue was the subject of some debate between the U.S. Department of Defense and the White House earlier in the summer, and recent news of the People’s Liberation Army-Navy (PLAN) having lawfully traversed U.S. territorial waters around the Aleutian Islands near Alaska has brought the issue back to the fore. Over at 38North, Carla Freeman reviews China’s current position on nuclear talks with North Korea, both within the framework of the long-stalled Six-Party Talks and other formats. Senior Chinese officials, including the foreign minister, Wang Yi, have hinted that the process toward the Joint Comprehensive Plan of Action on Iran’s nuclear program could bear lessons for handling North Korea’s program. Freeman wraps up the varying opinions within China on the possibility that the Iran deal could bode positively for the North Korean issue, highlighting mostly skepticism among the Chinese expert community. From September 9-12, Chinese officials visited the United States as part of a series of visits to prepare for Chinese President Xi Jinping’s upcoming trip. This visit, led by Meng Jianzhu, the secretary of the Central Political and Legal Affairs Commission of the Chinese Communist Party, was particularly noteworthy as it focused on one of the main points of friction between the U.S. and China: cyber affairs. China’s Foreign Ministry spokesperson Hong Lei announced on Monday that Meng’s delegation consisted of “leading officials from the Ministry of Public Security, the Ministry of State Security, the Ministry of Justice and the Cyberspace Administration of China.” The officials met with U.S. Secretary of Homeland Security Jeh Johnson (Meng’s official host), as well as Secretary of State John Kerry and National Security Advisor Susan Rice. A White House statement said that Meng and the delegation also met with “representatives from the Departments of State, Treasury, Justice, Federal Bureau of Investigation, and the intelligence community,” including FBI director James Comey. During her visit to Beijing in late August, U.S. National Security Advisor Susan Rice met with Liu He, the chief of the General Office of the Leading Small Group for Financial and Economic Affairs of the Chinese Communist Party. That begs the question: who is Liu He and why did Rice meet with him? A native of Beijing, Liu has been called a childhood friend of President Xi Jinping because they both allegedly attended the same middle school in Beijing. This is mistaken: Xi went to the August First School (and then briefly to No. 25 Middle School), and Liu He went to No. 101 Middle School in Beijing. Liu and Xi both had experiences as “sent-down youths,” but not in the same place. Liu went to Jilin for physical labor in the countryside in 1969 while Xi went to Shaanxi in the same year. Liu joined the People’s Liberation Army one year later, and Xi came back to Qinghua University in 1975. After his demobilization in 1973, Liu worked in a factory in Beijing for four years before being admitted to the People’s University of China in 1978 through competitive national college entrance exams. He obtained bachelor’s and master’s degrees in economics there. He later went to Harvard University and obtained a MPA from the John F. Kennedy School of Government in 1994. In 1984 Zaki-ur-Rehman assembled a small group of Pakistani Ahl-e-Hadith adherents to wage jihad against the Soviets in Afghanistan. 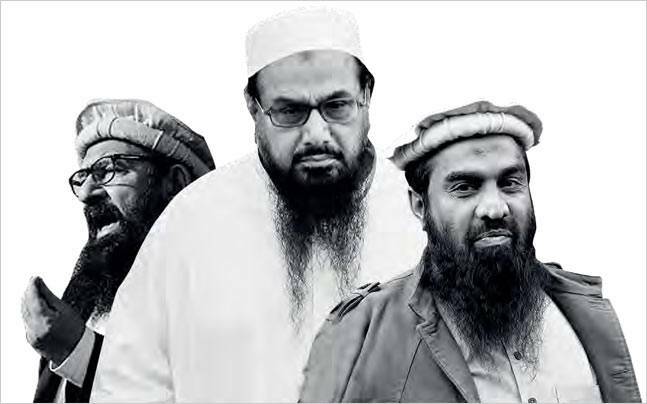 A year later, Hafiz Muhammad Saeed and Zafar Iqbal, two professors from the Islamic studies department of Lahore Engineering University, formed the Jamaat-ul-Dawa (Organization for Preaching, JuD), a small group that was primarily focused upon tabligh (proselytization) or dawa (missionary work) aiming to propagate the Ahl-e-Hadith creed. In 1986, Lakhvi merged his militia with JuD to create the Markaz Daawat ul Irshad (MDI, Center for Preaching and Guidance). MDI had three functions: jihad; proselytization of the Ahl-e-Hadith maslak, and the creation of a new generation of Muslims committed to their ideology. Within one year of forming, MDI established its first militant training camp, Muaskar-e-Taiba, in the Afghan province of Paktia, and established another camp, Muaskar-e-Aqsa, in Kunar. On September 10, 2015, a Police constable was injured when a pressure bomb laid by Communist Party of India-Maoist (CPI-Maoist) exploded in Bijapur Valley, some five kilometres from Bijapur town towards Bhopalpattanam, as a squad of Security Force (SF) personnel was patrolling an under-construction road. Following the blast, the Maoists also opened fire on the SF personnel. On August 23, 2015, an assistant platoon commander of the Chhattisgarh Special Task Force (STF), K.P. Singh, was killed and a constable, Santosh Yadav, was injured, when Maoists ambushed an STF patrol team deployed to secure a stretch of the newly laid National Highway 30 in the Darbha region of Bastar District. After the ambush, the Maoists damaged the highway and traffic was affected. Earlier, on May 29, 2015, a day before Union Home Minister (UHM) Rajnath Singh's visit to Chhattisgarh, one trooper of the Chhattisgarh Armed Force (CAF) was killed and another two were critically injured in an IED blast triggered by the Maoists in Sukma District. The CAF personnel were deployed on duty for protection of workers at a construction site near Dharampenta village at Kistaram. Russia’s ongoing military buildup in Syria poses a serious challenge to American policy in the region. What response will best advance American interests in Syria and, more broadly, in the Middle East? That depends in large part on what Russia hopes to achieve. So far, most Western commentators have argued that geopolitical considerations are driving Russian policy. At a minimum, Moscow wants to bolster a beleaguered Syrian president, its one sure ally in the region; more boldly, it hopes to gain some geopolitical advantage out of the deepening chaos throughout the region, exacerbated by doubts among leading Arab states about America’s commitment to their security and its strategic acumen. There is some truth to that judgment, although Moscow likely sees its actions as more defensive than ambitious. Its efforts to sell arms to Arab States, especially major American partners such as Egypt and Saudi Arabia, speak of regional aspirations. But Moscow is now focused on deteriorating conditions in Syria, which it no longer believes will survive in its current borders. As the map of Syria and the surrounding region is redrawn, Moscow is ramping up its presence to ensure that its interests are taken into account in any geopolitical reckoning. Russia's Armata T-14 Tank vs. Germany's Lethal Leopard: Who Wins? Developed and built by Krauss-Maffei Wegmann GmbH, Germany’s Leopard 2A7is arguably the best operational tank in the world. Like all German tanks, it is an exceptionally well-balanced and well-engineered design, but it comes at a price. Russian tanks on the other hand have traditionally emphasized quantity over quality, but the T-14 Armata seems to break with that tradition. In many ways, it’s more like a Western machine, and won’t be built in huge numbers like the T-72. While it’s probably still not as good as the Leopard on a one on one basis, the Armata could be a formidable threat since Moscow is not that far away from Germany—and having Russian tanks driving into Berlin is not exactly an unprecedented feat. While the chances of Russian and German tanks meeting in some future war in Europe is extremely remote (a better chance if foreign buyers purchase them and they go head to head), Berlin's tanks in a theoretical match-up would face a problem. While the Leopard is probably overall more than a match for the Armata—it doesn’t have the right ammunition to defeat the T-14. There’s an unfortunate truth about nuclear disarmament: it’s further away now than it was in 1995 when the NPT was indefinitely extended. NPT extension capped a number of positive milestones, not least the end of the Cold War. Things have soured over the past 20 years. They’ve even soured over the last six, so disarmament’s also further away now than it was in 2009, when President Obama spoke so warmly in Prague about the objective. And that suggests the tide’s going out on nuclear disarmament, not coming in. If so, should we be lowering our expectations in the arms control field to something a little more achievable, namely a safe, secure and resilient nuclear order? What determines whether a nuclear order’s resilient or not? We don’t have a large number of such orders to investigate empirically, so this post is intended to unpack four factors which I believe determine resiliency: geopolitical settings, technologies, actors and norms. The Cold War was a uniquely dangerous period in human history. Vast ideological differences, large standing armies and nuclear weapons on hair triggers meant the end of civilization was an ever-present threat. For much of the era, there was genuine fear that war between the West and the Soviet bloc might break out any time. Such fears pushed the rapid development of weapons to give each side an advantage should the Cold War suddenly turn hot. The result was not one but many arms races pursued concurrently, from infantry small arms to nuclear weapons. New equipment and capabilities were rapidly fielded by both sides. By the 1950s, most air forces had traded in propeller-driven aircraft for jets. Armored vehicles, submarines, and missiles saw huge gains in effectiveness. Nuclear weapons in particular were made smaller and exponentially more powerful. Above all, weapons were made more lethal to give each side an edge in what might very well have been the last war humanity would ever fight. A recent New York Times editorial castigated Russia for arming the embattled Assad regime and deploying military personnel to Syria. It’s increasingly evident that the Kremlin is deepening its military presence in Syria to prop up a Syrian government that hovers near collapse and has lost control of large parts of its domain. Yet the editorial’s assessment of Russian conduct in Syria is suffused with naiveté and conceit. Worse, in its failure to say nary a word about the ways in which Washington has been using its own military power (whether directly or indirectly), including in Syria, or to mention the errors of America’s Syrian policy, it is devoid of introspection, even honesty as well. None of this would matter were the Times piece not in sync with prevailing analyses of Russian actions in Syria, which are presented as an amalgam of mendacity and power grabbing. These portrayals resonate with many in the West, and for understandable reasons, ones for which Russia bears much responsibility. Water Wars: The Next Great Driver of Global Conflict? As much as oil shaped the global geopolitics of the 20th century, water has the power to reorder international relations in the current century. We live in an age of great anxiety about threats to global peace and stability. Among these are worries that intense water-related stresses, now showing up in regions around the world, may become all-too-common sources of conflict. Just as often, however, concerns about water wars are dismissed as much ado about nothing. An influential school of thought has long contended future international conflicts will not be fought over this resource. Water, it says, is of such elemental importance to human existence that even long-time adversaries will be forced to accommodate one another’s needs in a water-scarce future. As water is too expensive to transport over long distances, moreover, it is very difficult to steal or plunder. And history gives some comfort to this forecast: as few wars have been fought specifically over water, it is highly unlikely humanity will start engaging in water conflicts now. Or so the thinking goes. On Monday, Okinawa Governor Takeshi Onaga said that he is taking steps to rescind local government permission for land reclamation work needed to construct a new U.S. military base in Okinawa’s Nago district. 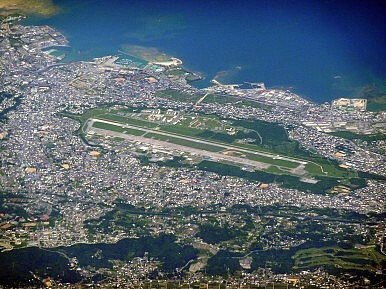 The new base would replace an existing the U.S. Marine Corps air station at Futenma, part of a relocation plan first agreed upon by the U.S. and Japanese governments in 1996. The relocation of the base to another site within Okinawa has met fierce opposition from locals, who want other parts of Japan to share the load of hosting U.S. troops. Onaga was elected as Okinawa’s new governor in November 2014 after strongly opposing construction of the new base. Since then, he has tried various tactics to force Japan’s central government to rethink its plan. In March, he ordered the Defense Ministry to halt construction work, citing environmental concerns, only to have that ordered overturned by the courts. Onaga even visited the United States in June to convey Okinawa’s position in person, but to no avail – both Tokyo and Washington have remained firm on the stance at the project must move forward. The starkly differing nuclear policies of Germany and the UK present perhaps the clearest divergence in developed world energy strategies. Under the current major Energy Transition (Energiewende), Germany is seeking to entirely phase out nuclear power by 2022. Yet the UK has for many years advocated a "nuclear renaissance", promoting the most ambitious new nuclear construction programme in Western Europe. A close look at what's happening makes the contrast look very odd indeed. Nowhere is that difference more obvious than in the impending decision of British energy minister Amber Rudd, over arguably the most expensive single infrastructure project in British history: the Hinkley Point C power station. Summary: The rumors have proven correct. Russia is building a base in Syria. Fourteen years of aggressive US moves in the Middle East and Eastern Europe have left the former in flames and the latter unstable. Now comes the inevitable next step, as a great power rival escalates by positioning itself to respond strongly. I doubt we’ll enjoy what comes next. We can hardly complain when others follow our example. The projection of Russian forces into Syria could be an attempt to bolster the government of President Bashar al Assad or a means to exert pressure during a time of sensitive negotiations. Either way, it will be increasingly difficult for the Russians to avoid mission creep as they magnify support for their favored faction in the Syrian conflict. Fourteen years of wars, interventions, assassinations, torture, kidnappings, black sites, the growth of the American national security state to monumental proportions, and the spread of Islamic extremism across much of the Greater Middle East and Africa. Fourteen years of astronomical expense, bombing campaigns galore, and a military-first foreign policy ofrepeated defeats, disappointments, and disasters. Fourteen years of a culture of fear in America, of endless alarms and warnings, as well as dire predictions of terrorist attacks. Fourteen years of the burial of American democracy (or rather its recreation as a billionaire’s playground and a source of spectacle and entertainment but not governance). Fourteen years of the spread of secrecy, the classification of every document in sight, the fierce prosecutionof whistleblowers, and a faith-based urge to keep Americans “secure” by leaving them in the dark about what their government is doing. Fourteen years of the demobilization of the citizenry. Fourteen years of the rise of the warrior corporation, the transformation of war and intelligence gathering into profit-making activities, and the flocking of countless private contractors to the Pentagon, the NSA, the CIA, and too many other parts of the national security state to keep track of. Fourteen years of our wars coming home in the form of PTSD, the militarization of the police, and the spread of war-zone technology like drones andstingrays to the “homeland.” Fourteen years of that un-American word “homeland.” Fourteen years of the expansion of surveillance of every kind and of the development of a global surveillance system whose reach -- from foreign leaders to tribal groups in the backlands of the planet -- would have stunned those running the totalitarian states of the twentieth century. Fourteen years of the financial starvation of America’s infrastructure and still not a single mile of high-speed rail built anywhere in the country. Fourteen years in which to launch Afghan War 2.0, Iraq Wars 2.0 and 3.0, and Syria War 1.0. Fourteen years, that is, of the improbable made probable. At least five militants of the Khaplang faction of the National Socialist Council of Nagaland (NSCN-K) and three civilians were killed when troops of 23 Assam Rifles (AR) and 21 Para (Special Forces) Commandos reportedly laid an ambush along the Pangsha International Trade Centre, bordering Myanmar, in Tuensang District of Nagaland on August 28, 2015. NSCN-K later confirmed that among those killed were 'captain' Medoneizo Nakhro (Medo), 'lieutenant' Joseph Sumi, 'Chaplin' Robin Sumi, 'sergeant' Seipu Kuki, and 'under secretary of the civil wing’, Kukhavi Sumi. The three civilians killed in the incident were identified as Tokani, wife of ‘lieutenant’ Joseph Sumi; Enso Konyak and Anten Konyak, both from Yongkhao village in Mon District of Nagaland. They were accompanying the group. Two women and an Army trooper were also injured in the incident. According to unconfirmed reports, one of the injured women was the wife of the new ‘finance secretary’ of the NSCN-K, Isak Sumi. The AR Public Relations Officer (PRO) claimed that the militants were from the NSCN-K camp located at Ponyu Village inside Myanmar and belonged to the group headed by the ‘military commander’ and head of NSCN-K’s armed wing, ‘lieutenant general’ Niki Sumi. 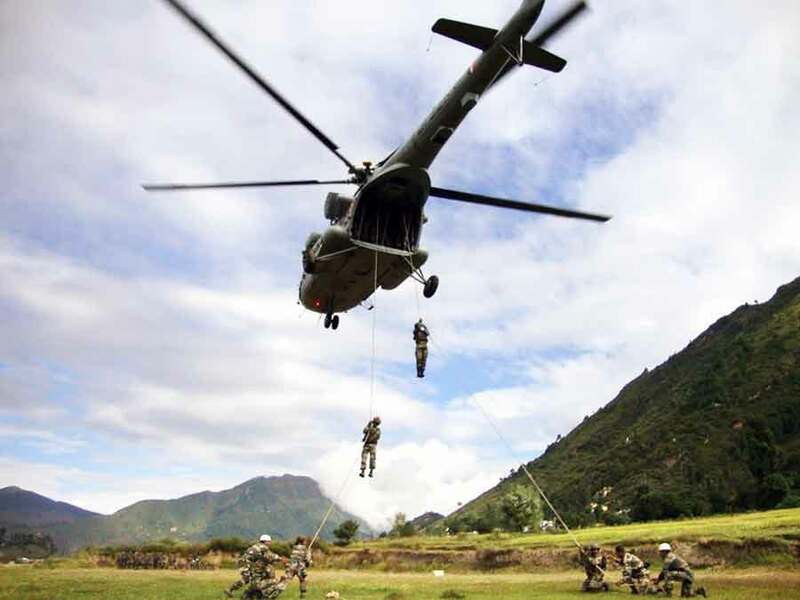 Earlier, on August 13, two NSCN-K militants, identified as Azheto Sumi and Khekato Chophy, were killed in an encounter with 31 AR personnel in the Tamatai area near Longsa village in the Mokokchung District of Nagaland. The SFs recovered one AK-56 rifle along with 42 live rounds; one .22 pistol (country made) and one live round; three Chinese grenades; as well as other items from the possession of the slain militants. What if the Aircraft Carrier Had Never Been Invented? Aircraft carriers are multi-billion dollar investments—in the case of USS Gerald Ford, some $12 billion. They take years to build—in the case of the French ship Charles de Gaulle, twelve years. They take a long time to repair—USS Eisenhower is just back from a two-year stay at the Norfolk Naval Shipyard. And as the U.S. Navy is remembering in its Optimized Fleet Response Plan, training their crews is difficult and costly. As Michael Horowitz wrote in The Diffusion of Military Power (Princeton University Press, 2010), they pose serious organizational challenges to any navy. So what if all these problems had been deemed too daunting back in the 1920s? What if the world had taken a collective pass on the aircraft carrier? The balance of bureaucratic and international rivalries would have produced alternative histories, and some intriguing military-technological trajectories. Before the British election in May, political analysts were nearly unanimous in their prophesying: The United Kingdom was entering a new era of politics in which it would be joining the rest of the continent in the chaotic world of multiparty coalition governments. The Conservative-Labour duopoly was declared dead. As is so often the case, the prognosticators were only half right. Labour is, indeed, dead. The Conservatives, on the other hand, are alive and kicking and will likely rule Britain for at least the next decade in what will be ade facto one-party system. 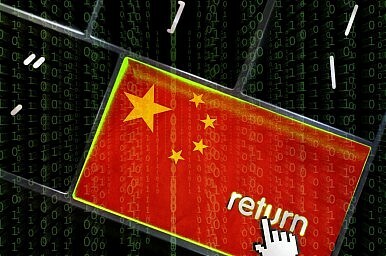 Is China Serious About Its New State-Owned Enterprise Reforms? In the latest top-down measure to restore confidence in an economy that appears to be faltering, Chinese leaders unveiled the details of a new set of guidelines to reform state-owned enterprises (SOEs). 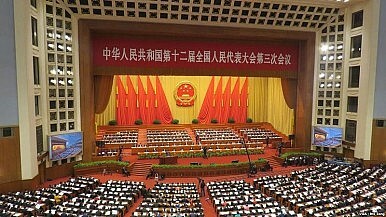 According to China’s state-owned Xinhua news agency, China “will modernize SOEs, enhance state assets management, promote mixed ownership and prevent the erosion of state assets.” Along with a set of short-term, stopgap policy measures to restore investor confidence in the wake of equity market volatility in July and August, the new SOE guidelines appear to be aimed at much-neededlonger term structural change. SOE reform has been something foreign investors have been wanting to see for some time. Two years ago, in the lead-up to China’s economic policy-focused Third Plenum, there was considerable hope that SOE reform would feature at the top of Xi Jinping’s economic policy agenda. Unfortunately, the Party fell short of comprehensive SOE reform at the time. The issue has never been an easy one for the Party leadership to pursue, given powerful vested interests in the existing SOE structure. With Xi’s power now consolidated and the stock market’s volatility still reverberating across the country, it makes sense that the State Council (the country’s cabinet, responsible for policy) would announce SOE reform measures now. Migrant crisis: “If we don’t stop climate change, then what we see right now is just the beginning” Two crises intertwined. The surge of people fleeing to Europe from the Middle East highlights how quickly mass migrations can occur. It may also offer a glimpse of what’s to come as climate change makes some regions around the world unlivable, according to a leading researcher on the human effects of climate change. 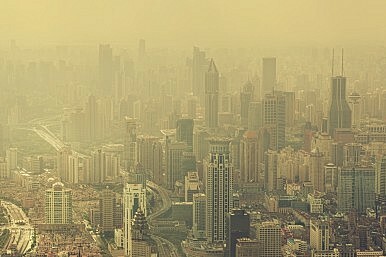 Frank Biermann, a professor of political science and environmental policy sciences at VU University Amsterdam, led researchers in the Netherlands five years ago in a study that warned there may be as many as 200 million climate refugees by 2050. That staggering number first arose out of research in 1995, and it has always been controversial. The study Biermann led in 2010 recommended the creation of an international resettlement fund for climate refugees. Today’s migrant crisis may be due in part to climate change, Biermann said in an interview with InsideClimate News. Syria, where 7.6 million people are displaced inside the country and another four million are seeking asylum elsewhere, a severe drought plagued the country from 2006-09. A recent study pinned the blame for that drought on climate change, and the drought has been cited as a contributing factor to the unrest there. Millions of additional refugees may need to leave their homes in coming decades as a result of a changing climate, Biermann said. Economists err when they think that human rationality is all about applying one's means efficiently in order to achieve one's ends. That the efficient application of available resources in the pursuit of given objectives is an important dimension of our Reason, there is no doubt. The error however sips in when economists, and those influenced by them, assume that this is all rationality is about. This type of instrumental approach to the meaning of Reason massively underestimates perhaps the one ingredient of human reasoning that makes us exceptional animals: the capacity to subject our ends, our objectives, to rational scrutiny. To ask ourselves not just questions such as "Should I invest in bonds or shares?" but also questions of the type: "I like X but should I like it?" 2 Sep 2015 – The U.S. government and NATO have entered the Brave New World of “strategic communications,” merging psy-ops, propaganda and P.R. in order to manage the perceptions of Americans and the world’s public, reports veteran war correspondent Don North. This attitude has led to treating psy-ops – manipulative techniques for influencing a target population’s state of mind and surreptitiously shaping people’s perceptions – as just a normal part of U.S. and NATO’s information policy. “The NATO case and argument is that NATO’s approach to psy-ops is to treat it as an essentially open, truthful and benign activity and that, plus the elimination of any meaningful distinctions between domestic and foreign media institutions and social media, means that psy-ops and public affairs have effectively fused,” said British military historian, Dr. Stephen Badsey, one of the world’s leading authorities on war and the media. maller, lighter, better battery power. This has long been the mantra of military radios. Now the Army is adding a new element to the mix: smarter. As the Army moves to acquire the next round of its signature Rifleman and Manpack radios, those involved say the rapidly increasing power and intelligence of today's computer processors will distinguish the new generation from its predecessors. "Computer processors are at the core of software-defined radio technology," according to information provided by Program Executive Office Command Control Communications-Tactical (PEO C3T). Improvements in processor size have helped bring down the Manpack weight from 19.5 to 16 pounds while also enabling radios to support 10 to 20 times higher data rates. In fact, most of today's major improvements — battery size, unit weight, performance metrics — can be traced back to improved processing muscle. The Army's existing 5,326 Manpack radios were deployed to Afghanistan and Iraq. With its newly released request for proposals, the service seeks full-rate production of the Manpack by late in fiscal 2017, with authorization for up to 60,296 units.